"We adore her," says Main Street Theatre & Dance Alliance leader Kristi Towey. "She is a fantastic teacher and her personality is just amazing." The feeling is mutual. "I have grown attached to not only my students, but the island as well," Haley Ostir told The Daily. 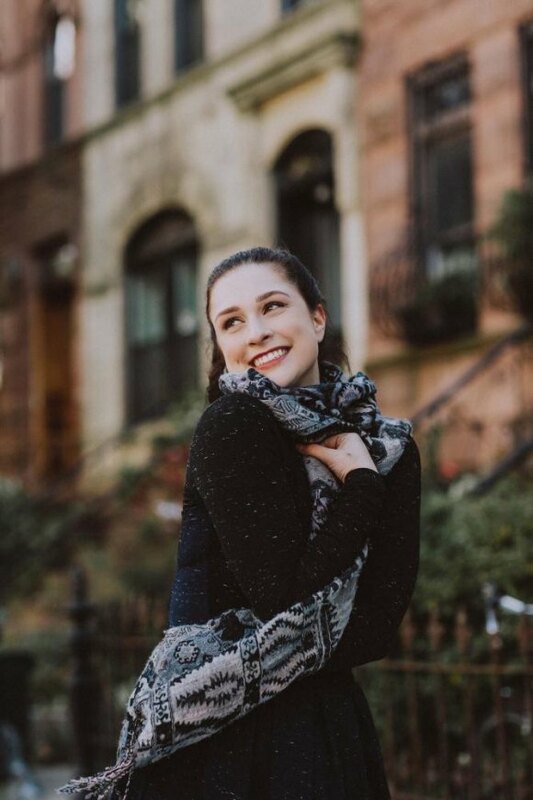 As this season's Tap/Ballet Teacher, she took a break from "... prepping my classes for the Broadway Boot Camp, that goes up next week" to tell us about her rise from a busy career launch in her hometown, Winnipeg, Manitoba, in Canada, getting her talented feet on the ground in New York, the world capital for theatre arts. Haley, while recalling, "My community back home didn’t really have anything like MSTDA," grew up dancing at Shelley Shearer School of Dance, where she was taught by So You Think You Can Dance Choreographer, Lindsay Nelko. Before stepping up to advanced training and graduation at the Boston Conservatory in Berklee, getting comprehensive exposure before live audiences, she performed at all the major theatres in Winnipeg, including The Concert Hall, Pantages Play House, Manitoba Theatre Centre, Convention Center, Red River Exhibition and Manitoba Theatre For Young People. A 160 year old institution, the Boston Conservatory merged with the Berklee School of Music in 2015, just in time for Haley's arrival, expanding on the possibilities for learning. The school has been recognized as one of the Top Ten most represented among performers on Broadway. Haley's not just racing in that direction, she's taking her Roosevelt Island kids there. "I see so much of myself in these young teens, and I am blown away by their talent and the Main Street Theatre community as a whole. Being away from home and in such a big city, my students have become my family and I’ve become invested in their growth, as dancers and as people." Despite her own youth, Haley can deliver on a wealth of experience, which accelerated once she arrived in the U.S. to study at the Conservatory. During her summers off, she performed at reputable theatres along-side Broadway veterans. Spending time at the Maine State Music Theatre, she had her first professional principle role as Fruma Sarah in Fiddler on the Roof, and also landed roles in Evita, A Grand Night For Singing and Mamma Mia. Not one to let rest on her laurels, between graduation and starting teaching at MST&DA, Haley also performed at Theatre By The Sea in Rhode Island in a production of Joseph & The Amazing Technicolor Dream Coat. Here on Roosevelt Island, along with her teaching duties, she's working as assistant director for this years MST&DA Teen Musical, Theory of Relativity. And she enthusiastically ads, "I will be doing the choreography for my tap and ballet classes for the End Of The Year Recital." Defying the well-established scientific principle that there are only 24 hours in any day, when Haley isn’t performing she's giving back to the arts community. Along with teaching tap and ballet at Main Street Theatre & Dance Alliance, she offers choreography at the Reform Temple of Forest Hills for their Winter and Spring performances and volunteers at Dream Street, a Brooklyn nonprofit that provides education and inspiration for developmentally disabled individuals with a passion for the performing and creative arts. Those who've gotten to know her believe we're lucky to have caught the glow of Haley Ostir's multi-faceted career arc on Roosevelt Island, enriched by her contributions and excited to see where she takes us from here.